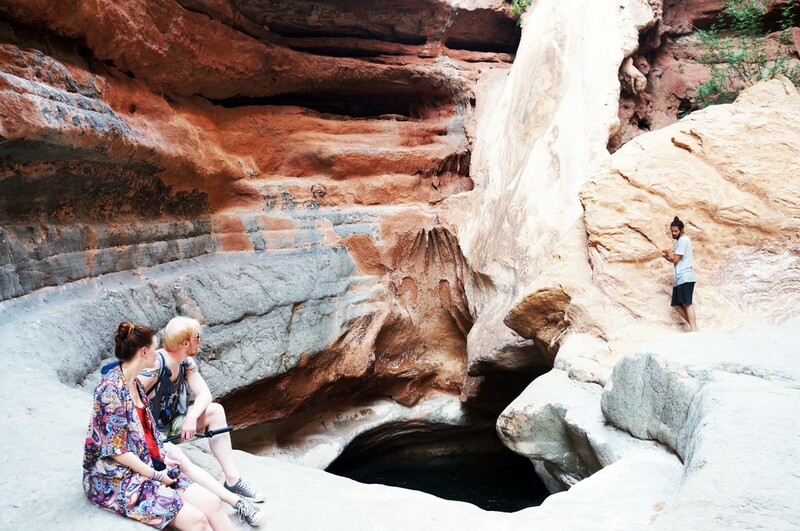 Nestled in the Atlas Mountains, Paradise Valley is a local secret that few tourists and travellers get to experience. Legend has it that a German couple desperately searching for a cure to their illness spent a few months in the valley, during which they were miraculously cured. 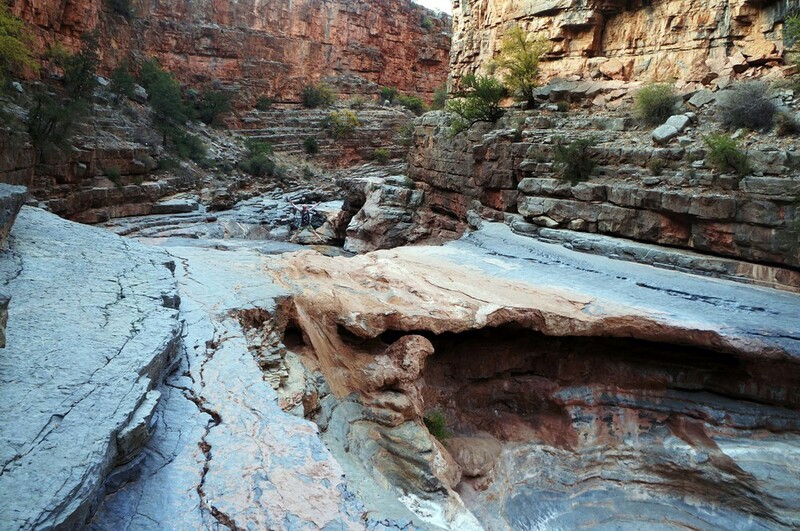 Since then the region has been known as Paradise Valley, and once you witness the natural beauty for yourself we're sure you'll understand why. 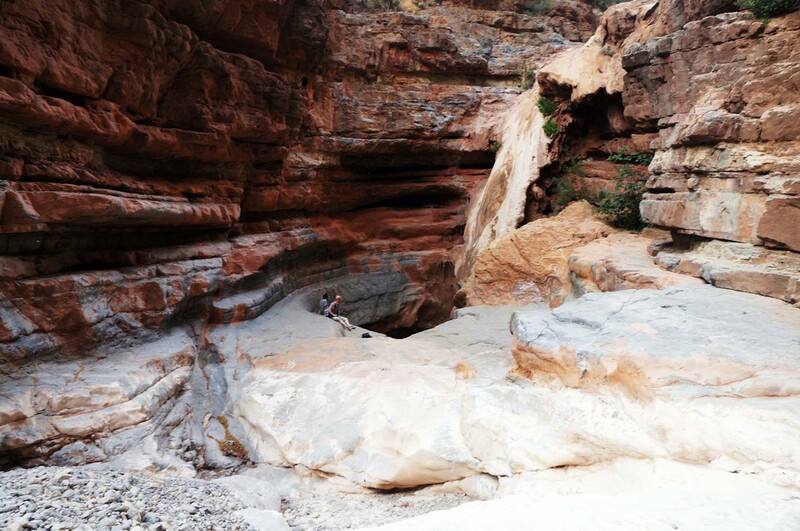 Think palm trees, red rock landscapes and sheltered crystal blue pools for swimming.... or if you're brave enough dive in like the locals do in the video below! The drive to Paradise Valley takes forty minutes total. Once we arrive we take a short walk to the first stop in the valley for morning tea to get us ready for the day. Here we'll have some snacks and traditional Moroccan mint tea. Soon after arriving into the heart of the valley you will see why we call it Paradise. After that the day is yours. 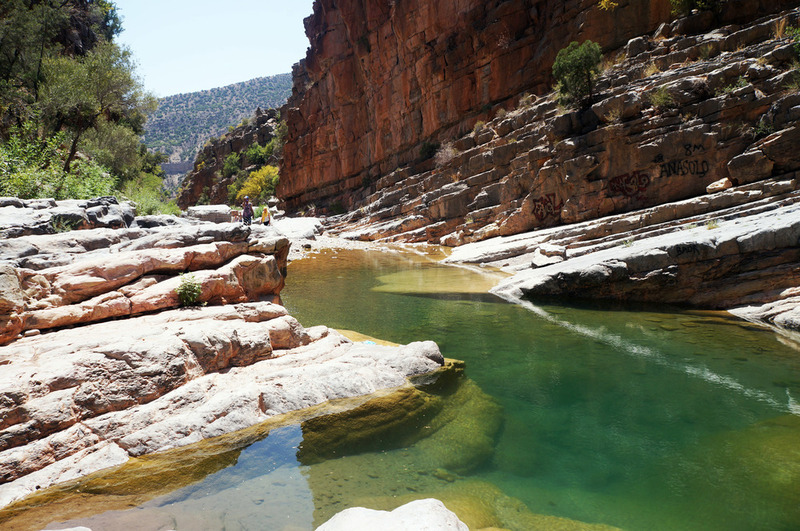 Paradise Valley is a long stretch of rock landscapes and natural swimming pools so whilst we hike a little to make sure you get to experience the furthest and most secret pool in the valley, this is a day to experience the true beauty of Morocco. Tajine is served on the way back, cooked from fresh local produce and prepared in the valley. Rest your feet and fill your stomachs before waving goodbye to Paradise and returning to the comfort of the surf house. The day costs 32€ per person for four people (minimum) or more. This trip is not offered on Sundays or Moroccan holidays.